Western Australia is doing its best to overtake France as the truffle capital of the world. You’d be forgiven for thinking that award-winning chef Alain Fabrègues is describing Perigord in France, the world-famous home of the truffle. In fact, he’s talking about Manjimup in south-west Australia. A rare delicacy first written about in the fourth century BC, the truffle is native to Southern Europe and has always commanded stupendous prices and has become widely established as an ingredient in haute cuisine. The haunting aroma of these valuable fungi can fill a room instantly with earthy flavours so intense you only need 10-15 grams to season a dish. It’s a good job that a little goes a long way. Costing anywhere from $2500 to $5000 per kilogram, the “diamond of the kitchen” doesn’t come cheap. Just as the Australian wine and olive oil industries have built a growing international reputation, the local truffle industry has also evolved. It’s expected that in just five years time Manjimup and its hinterland will be producing ten tons of truffles each season – a total on par with the French. That’s a massive achievement considering that truffles only grow wild in very specific conditions. These little black nuggets are notoriously fussy customers. They require neutral-to-alkaline soil, relatively chilly temperatures and grow in a quirky symbiotic relationship with the roots of certain species of tree, especially oaks. Not only that, but truffles are also extremely difficult to find as they only grow underground. Traditionally, pigs were trained to snuffle out these buried treasures but as they also love to gobble them up, dogs are now generally preferred. 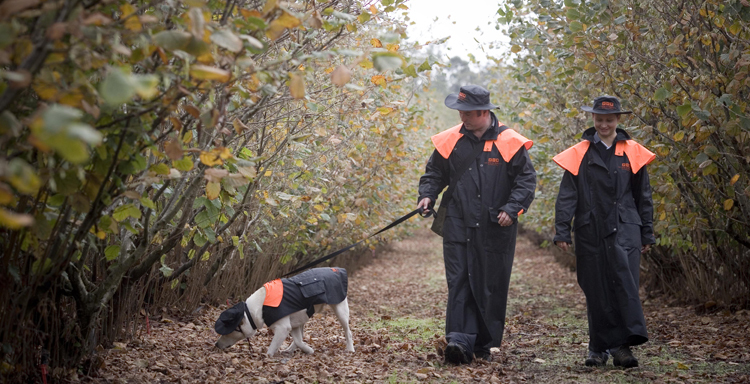 Despite these many challenges, local researchers have managed to replicate the perfect growing conditions for truffles. Following an eight-year experiment to introduce oak trees specifically for this purpose, Western Australia’s first black truffle was dug up in 2004. The following year, a one kilogram black truffle was unearthed, the biggest ever discovered in the southern hemisphere. But WA’s biggest stamp on the truffle map is the Mundaring Truffle Festival. Over the first weekend in August each year the town of Mundaring celebrates everything that town of Mundaring celebrates everything that truffles have to offer. Cooking classes are led by some of the country’s finest exponents of truffle handling, including Shannon Bennett of Melbourne’s leading French restaurant Vue de Monde. With dishes such as Alain Fabrègues’ famed truffle sandwich - truffled egg atop truffle toast for only $5 - the chance to indulge has never been more accessible. The Mundaring Truffle Festival occurs annually in August. Mundaring is 30 minutes from Perth and three hours from Manjimup.